A Proclamation for restoring and discovering his Majesties goods. 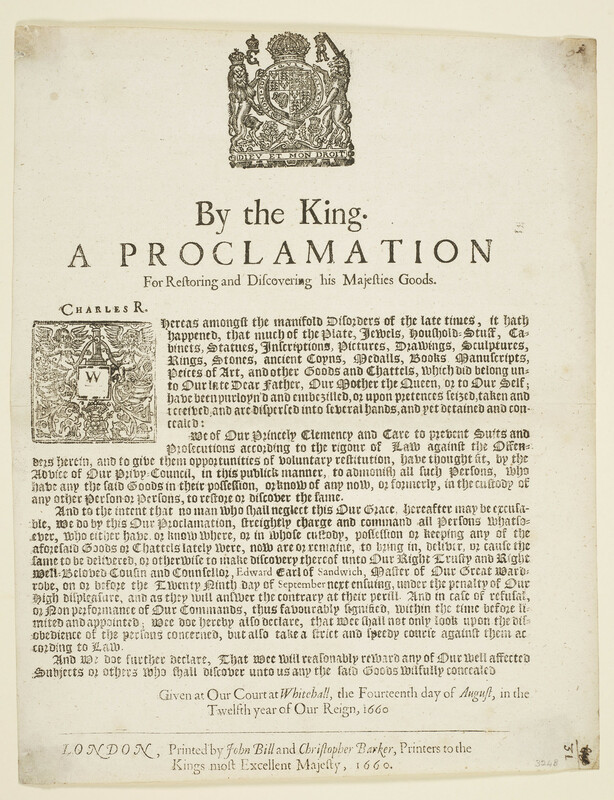 A proclamation issued by Charles II on 14 August 1660, soon after his Restoration to the throne, commanding the return of items from the collections of his father Charles I, his mother Queen Henrietta Maria, and of himself, that had been taken during the Interregnum. Those in possession of Charles's goods, the proclamation states, have until the 29 September to restore them to the King, or they will feel the force of the his displeasure.